Eastern European countries, particularly Bulgaria, as well as France, Britain, Australia, and Russia grow large quantities of lavender. The fragrant flowers of lavender are used in the preparation of herbal medicines. In a double-blind trial, a proprietary lavender oil preparation (silexan) provided significant symptom relief to people with generalized anxiety disorder. In one study, adding lavender oil to a bath helped relieve perineal pain after childbirth. Traditionally, herbalists used lavender for a variety of conditions of the nervous system, including depression and fatigue.1 It has also been used for headache and rheumatism. 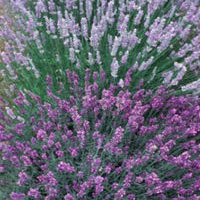 Due to its delightful odor, lavender has found wide application in perfumes and cosmetics throughout history.